Last February, composer/musician Rob Thompson and The Little 5 Points Rockstar Orchestra drove a stake into our preconceptions of rock opera as a dead-and-buried art form and put the bite back into vampire lore at 7 Stages with HAUS VON DRACUL, PART 1. If you’ve been stuck in your coffin and missed hearing about it, check out ATLRetro’s interview with actor Chris Love, who injected hard rockin’ passion into the often-staid role of Jonathan Harker, and our review here. Now Rob and the rest of that crazed and creative team are hard at work on the terrifying second act of what’s now titled DRACULA: THE ROCK OPERA which will have its premiere run at 7 Stages from April 19-May 13, 2012. However, as anyone in the arts knows, even a labor of creative love needs some cold hard cash to make it to the stage. So raise the curtain on BLACK METAL BURLESQUE, a one-of-a-kind fundraiser this Friday at 7 Stages featuring not just cast members and the Little 5 Points Rockstar but other notorious local talent such as The Chameleon Queen, Loki Shane DeFriece (Prentice Suspensions), Macabre Puppets’ Chris Brown (Dad’s Garage’s SCARLETT’S WEB), , set designer/make-up artist Shane Morton (Silver Scream Spookshow), and many more. Tickets are just $15 and the show is at 10 p.m., but a pre-show party kicks off at 9 p.m. and continues after the show. Dracula's lovely brides take more than a few bites out of Jonathan Harker (Chris Love) in last February's performance of HAUS VON DRACUL at 7 Stages. Justin Welborn in THE SIGNAL. Magnolia Pictures, 2007. 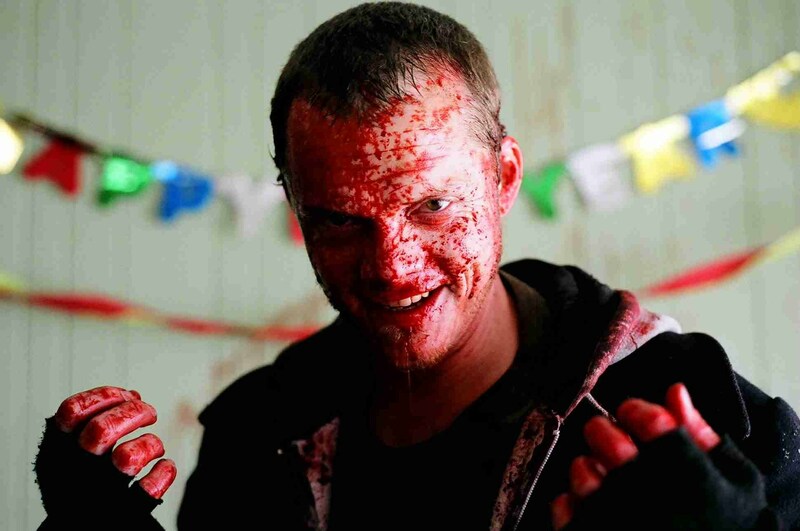 OF THE DEVIL, is a founding member of Black Knight Stunts, and starred in the independent horror movie THE SIGNAL, which screened at Sundance in 2007. More scary screen credits include THE FINAL DESTINATION (2009), DANCE OF THE DEAD (2008), and THE CRAZIES (2010). Oh, and Justin does yoga, drinks Jamesons and his favorite movie is COOL HAND LUKE (1967). How did you get involved in DRACULA: THE ROCK OPERA and what’s your role? I am assisting Del Hamilton (Artistic Director of 7 Stages) with the direction and artistic production design of DRACULA. It’s strange how I got started with this whole three ring circus, i,e. The Little 5 Points Rock Star Orchestra. I’ve worked with, for and at 7 Stages for many years, and I’d seen the Rock Star guys and gals do their Iron Maiden show and their Pink Floyd Tribute, and always had an amazing time. I knew they had done JESUS CHRIST SUPERSTAR and HAIR, and so when Heidi Howard (Education Director/Production Manager, 7 Stages) asked me to come in and help coordinate the stunt work and violence in their 666 CHRISTMAS WITH THE DEVIL show, I was more than excited to help. I found the whole Devil crew to be very eager, slightly disorganized and maybe a little drunk. I loved it. And the show’s finale was like nothing I’d ever seen at an Atlanta theater in 12 years! Just mad! 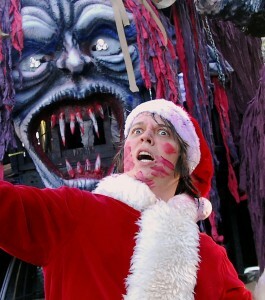 The Krampus float in last year's L5P Halloween Parade. I came in again the next year for A KRAMPUS CHRISTMAS and ended up spending more time directing for real, rather than just stunts. The more I gave, the more they gave back. We began to figure out how this theater world and their music world could mesh and synthesize into something new and fun for everyone. So when I was asked to help with DRACULA, I jumped at the chance for another go! I didn’t know what I’d be doing for sure, but right from the start, I began directing and troubleshooting in a kind of cooperative effort to make the best show possible. I wasn’t in charge, but at a certain point I was given—by unspoken agreement more or less—great license to help create and direct the show. I was really quite honored at how much trust they put into me. The first act, titled HAUS VON DRACUL, premiered at 7 Stages last February. Is the second act’s script and music completed or at what stage is at now? The second act is still in development but is coming along swimmingly. Rob Thompson, the creative mind before and behind our vampire opera, has been working on this project for almost two years, and as I understand it, is approaching a completed score. I think we’re still trying to figure out what we want to do with the end. We are using Bram Stoker’s book as our cornerstone, but translating that into music and a stunning visual stage show takes some real ingenuity. Considering it’s a rock musical about a vampire, Black Metal Burlesque sounds like the perfect theme for a fundraiser. Any story behind how the idea came about? 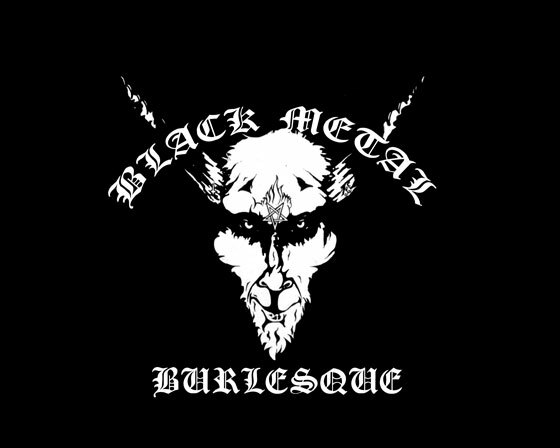 Rob told me one night at Java Lords that he wanted to do a fundraiser based on Venom’s BLACK METAL album that would include burlesque girls and live suspension acts. Then he described a few possible numbers. So I took what he said, weighed some options and the favors I had left in town, and decided if not now, when? I wanted to keep the DRACULA buzz rolling, and help support a theater I believe in. Plus the excitement from the group only intensifies every time we up our game and really keep challenging ourselves with what we can do artistically when we work together. It’s very exciting to see these artists working toward a common goal with people they normally wouldn’t get a chance to perform around.